Michelle & Roy are back from holidays! 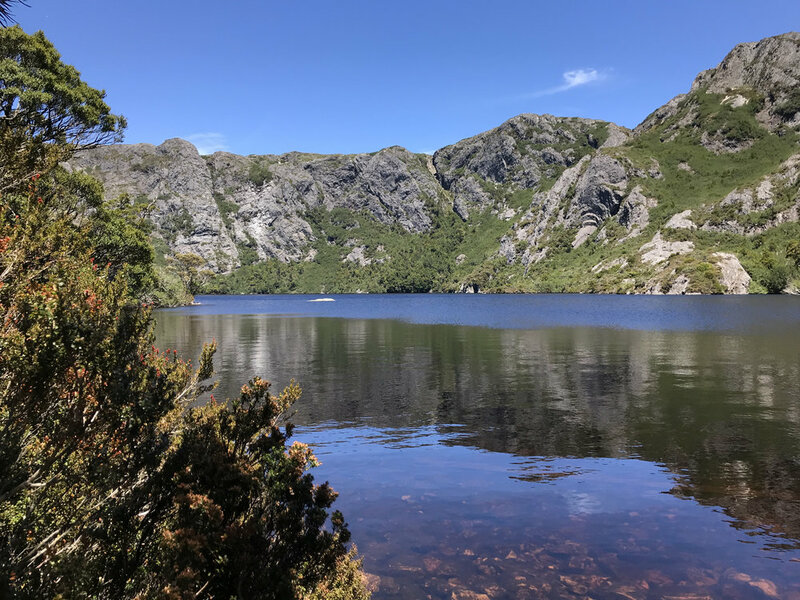 What an amazing holiday in Tasmania, we hired a motorhome and managed to cover most of the state, paying particular attention to the wild west coast. Tasmania has so much to offer and we were blown away by the amount of tourists in the state. Tourism has grown 15% from last year and everywhere we went, from the major towns to the smallest remote location, we could see the positive impact that tourism was having on the state. This made us wonder why Armidale has the reverse happen during peak holiday times, the town gets very quiet as locals rightfully head to the coast or elsewhere. Where are our tourists? Driving back into Armidale last night it was apparent that the encouragement to stop in Armidale was not seen as we experienced in Tasmania. Is it the lack of restaurants or the lack of activities available for tourists? We have come back energised and have plans for some major changes to our store during the coming year. As usual books filled our mornings and late afternoons and below is a summary of what we read during our 2 weeks away. This story is about trees, it unravels in concentric circles much like the rings of a tree. Perhaps it was that I read this while in some of the old growth forests but I thought the story was well deserving of the man Booker short list. We have sold out but expect more copies in this week. I know this is not a new book but I have had so many customers telling me to read it I couldn’t wait any longer. Have you ever fell in love with the main character in a book - Count Rostov is the one, a gentle soul who sees the world through very special eyes. If you haven’t read it please pick up a copy and treat yourself. Joseph Kanon has been compared to the great Le Carre, I think this is a bit of a stretch but he does do a very good rollicking spy story. Set in the Soviet Union it is the story of an American defector who decides to defect back to the USA. But it’s not as simple as this. Came out a couple of years ago we have a copy in the store if you are looking for a quick exciting read. The story of a Hungarian Jew who survived the camps and became a very famous artist based in the UK. His life was not as he portrayed to those he loved. After his death his Granddaughter starts to uncover much more about her much loved Grandfather. Michelle devoured this on our trip (a very big read) and the parts that she shared with me blew me away. Her close association with Canberra opened our eyes to what politicians have been responsible in the fundamental alteration of our fabric of life. A great read and is highly recommended by Michelle, we still have copies in the store. Following on from our last blog we have a book launch happening this Saturday 28th April @ 12 noon. The book is called "Women, Oxford & Novels Of Crime" by Alison Hoddinott. Her emphasis is on novels written by women and the ways in which their fiction deals with both the mystery and its solution and with the situation of women within the university and in the wider community. Following on from our last blog this book shows exactly how hard it was for a woman in the '50's to make their way in a male dominated environment. We have progressed but not far enough. Next week Armidale is hosting the CWA conference. What would we have done without the CWA cookbook. In all seriousness the CWA has been an important part of country NSW since 1922 helping women and families through good times and tough times. To welcome these delegates to town their will be a market in the mall on Thursday 3rd May, this will extend into the evening. Lets hope the weather is fine as their will be food stalls and live music. The shops will be open for late night shopping as well. This Saturday at Charlie's Last Stand there is a very special event. The Haberdashery Club presents a sustainable workshop series as part of the Fashion Revolution. This week I'm reading a great book that is due for release in June - The Consolation Of Maps by Thomas Bourke. This is an amazing read moving across countries and cultures it charts an attempt to understand the tide of history, the geography of people and the boundless territory of loss. We are listening to a couple of great albums this week - Joe Jackson Trio live in Europe in 2010 and Portishead "Dummy". Anyone who has an interest in jazz we have a couple of copies (on vinyl) of Miles Davis and John Coltranes last concert together in Copenhagen - amazing!